Ginformation #1: What makes a gin, a gin? This week is looking like a pretty gin-full week. There’s the first ever Gin Fest KL coming this weekend at Pahit, which Wholly Spirits will be a part of as well (if you haven’t signed up for the Napue Gin Blending Workshop, make sure you do so!). And on top of that, today (April 9) is National Gin And Tonic Day in the US (International Gin And Tonic Day isn’t until Oct 19). So, what better day to talk about gin, eh? Anyway, since this is our first ‘Ginformation’ post focusing on gin, we figured we’d start with the basics, as in, what makes a gin, a gin? But before we go into that, let’s take a brief look at the history of gin. The exact origin of gin is somewhat hazy. Some have said it was invented around 1650 by Dutch doctor Franciscus Sylvius, who apparently infused juniper berries into distilled spirits, hoping to create potions that could cure for kidney and stomach diseases, but this has been proven to be false. What we DO know is that the name ‘gin’ is probably derived from the word ‘genever’, which is the Dutch word for ‘juniper’, and also the name of a traditional Dutch juniper-flavoured spirit. Around 1570 onwards, England was a big market for Dutch jenever, but the English later started making their own juniper-based products, which was considerably lower in quality than genever, and started calling it ‘gin’. From the notorious Gin Craze to its role in the creation of cocktail culture during Prohibition, gin has had a long and storied history. But one thing has remained consistent through it all – gin is all about the juniper. Although there are hardly any rules governing the production of gin, nor are there regulations that clearly define what a gin is, one thing is certain – a gin wouldn’t be a gin without the juniper. It doesn’t matter how many botanicals you have in the spirit, if you leave out the juniper, it wouldn’t be called a gin. That’s not to say the other botanicals are not important though. The juniper may be the core of gin, but the botanicals are what makes it such a diverse and wonderful spirit, by balancing out the flavours of the juniper and giving the spirit its own unique character. You could say the botanicals in a gin forms the identity of each brand. 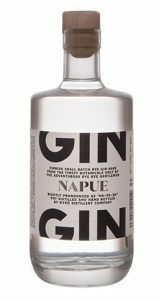 For instance, Kyro Distillery Company’s Napue Gin is a 100% whole-grain rye-based gin that uses a combination of 16 botanicals, including four that are locally foraged and fresh in Finland, including: cranberries, sea buckthorn,, meadowsweet, and birch, which is Finland’s national tree. Fords Gin, on the other hand, has a mix of nine botanicals – a traditional London dry gin base of juniper and coriander seed, balanced with citrus (bitter orange, lemon and grapefruit peels), floral (jasmine flower and orris) and spice (angelica and cassia). 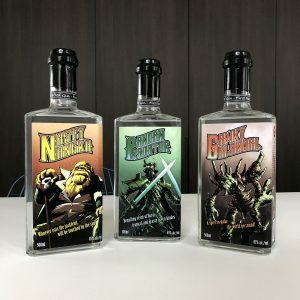 St George Distillery produces a variety of highly artisanal craft spirits, but its Terroir Gin supposedly captures the essence of a Californian pine forest inside a bottle, with botanicals comprising Douglas Fir, Coastal sage and Californian bay laurel. Australian gin producers like The West Winds Gin and Four Pillars Gin take distinctly Australian botanicals such as bush tomatoes (The West Winds Cutlass), wattle seeds (The West Winds Sabre), and Tasmanian pepperberry leaf (Four Pillars Rare Dry Gin) and combine them with traditional ingredients to create some truly unique artisanal gins that gives the drinker a taste of Australia. And of course, who could forget Eiling Lim Gin, which uses Malaysian botanicals such as pandan, nangka and galangal to make a quintessentially Malaysian -tasting gin! There’s so much more we could talk about with gin, but that’s for future posts. For now, happy National Gin And Tonic Day from all of us at Wholly Spirits! Go here for more information on the gins in our portfolio.